Well here we are, next time we go back to work or school, the baseball season will have started. I cannot wait till the games get started for real on Sunday in St. Petersburg. This week I previewed the Yankees Lineup and Rotation, American League and National League previews. Today I do the last preview of the baseball season with the World Series pick. In the league previews, I list all the teams that will be making the postseason. 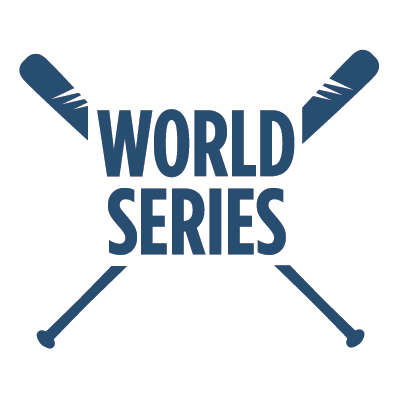 In this blog, I will predict how far each team goes in the postseason and who will be hoisting the World Series at the end of the 2017 Season. As listed in the League previews, the Nationals and the Astros are the two teams that will be winning the Wild Card games of their respective leagues. In the American League, look for the Indians to have the best record in the league and they will play Astros in the ALDS and will advance over Houston. In the other series in the American League, the Rangers will top the Red Sox to set up an ALCS date with the Indians. In the National League, the Cubs are by far the best team in baseball and they will have the best record in the MLB going into the postseason. The Cubs will play the Nationals in the NLDS, and will advance on to the NLCS. The Mets are built for the postseason and if they get there, they are going to be unbeatable. The Mets will beat the Giants, setting up a blockbuster NLCS between New York and Chicago. In the ALCS, the Rangers will take on the Indians, which could be an instant classic series. The Rangers are going to rely on the arm of Cole Hamels and Yu Darvish, and go one to represent the American League in the World Series. The NLCS, will have the two biggest markets in the country going against each other. In the postseason, good pitching always beat good hitting, and that trend will continue with the Mets advancing against the Cubs. The World Series will be between the Texas Rangers and the New York Mets. The Fall Classic will feature two teams that have made the last series of the season over the past few decades, but have not been able to convert. For the team that loses this series, the agony will continue for one more season, but for the fans of the other team, Christmas will come just few days after Halloween. Both teams will rely on pitching to win the series, which could set up a long grueling 7 game series. In Game 7, I trust the big game pitchers of the Mets over the Rangers. For the Met fans, the curse will finally end, and we will finally be able to put in the books, “New York Mets: 2017 World Series Champions”. The Official Mehtaphorical pick is the Mets over the Rangers. I want to apologize to the fans of those two teams, because they are not going to make the World Series, now that I have predicted them to win. #TheAviMehtaCurse will strike again this year (so the Yankees will win the World Series!! !, plan the parade).